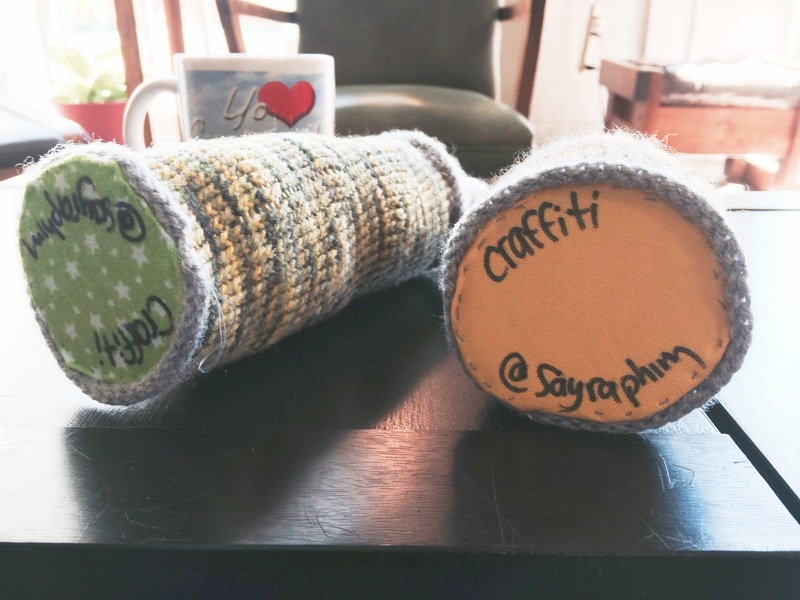 Sayraphim Lothian, Craffiti, and Authentically Connecting - craftivism. By Betsy on March 31, 2015 in craftivism. Ultimately, guerrilla kindness is about discovering that people care about one another, and that someone out there cares about you. Therefore, guerrilla kindness work is about extending your community. It’s about reaching out your hand to a stranger and using your skills to make someone’s day brighter. It’s a handcrafted, joyous experience both for the maker and the finder. My work is aimed at creating tiny bubbles of joy in the lives of passersby, tiny surreal moments that might make people do a double take. And I just like that so much, don’t you? A simple act that brings joy to both the maker and the finder *and* “extend[s] your community,” what could be more divine? This new work marries Melbourne’s diverse Street Art scene with handmade, soft sculptures inspired by a selection of art adorning our city. The original sketches, stickers or stencils will be presented alongside the sculptures in the space. Running concurrently with Craffiti will be a Guerrilla Kindness project of knitted spray cans that will be left in cities around the world for people to find. Connecting the exhibition globally, in cities including New York, London, Christchurch, Brisbane, Perth and Melbourne, the cans will include a hand-sewn label with Craffiti @sayraphim on them. This label will lead local and international spotters through Twitter and Instagram to discover the relevance of their finds. The heart of this show, to connect, is not only something that really makes me wish I could teleport to Australia to see the show, but is also something that I think speaks to what humanity is all about, connecting. As when we truly connect to someone, we give a tiny piece of ourselves away to them and they leave a tiny piece of themselves with us, which is such a magic exchange! Therefore, I like to think that I’m more than just plain ol’ me, I’m also a bit patchworked together with tiny pieces of other people I’ve connected with along the way, their hopes, their lives, their dreams. Whatever we connected about a day ago, a year ago, a decade ago… it’s all there, still inside of us. It’s a silent exchange, a painless exchange, a heartfelt exchange. It’s a look, a phrase, an understanding. And one that allows us to deepen into our very essence, as in connection, we also get a boost of affirmation that we are being heard and seen. I don’t think we are always as cognizant as we need to be about being heard and seen authentically. Because when that happens, we are integrating what we’ve learned from others with the deepest parts of ourselves. And this mingling allows us to grow stronger and stronger, by reminding us how earth-shakingly profound it is to connect with someone else, how good it feels to be heard and seen in a world where what we say on social media has such a short time of relevancy, because when we connect, there is no timeline. We give and take and exist forever through what happens when we are our most honest selves. And through making, we do the same, as what we make leaves a trace of ourselves on it. We exist in our color and design choices, and in between our stitches. And we pass on those bits of ourselves to those who receive, find or otherwise come to ultimately own our work. There is magic in the making and passing on, as we are able to connect in a universal way that transcends geographic location. We are still being seen and heard, we just don’t know who is doing that seeing and hearing. 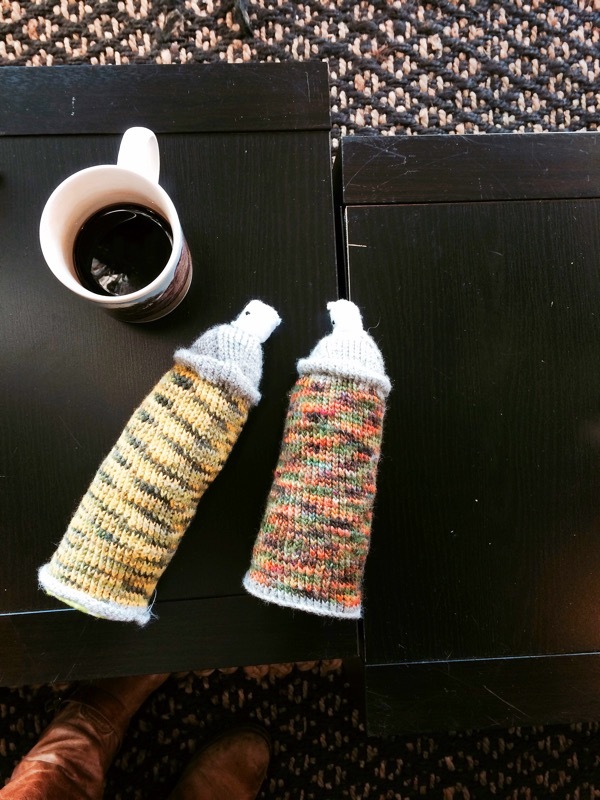 It could be that guy at the bus stop or that kid panhandling for change or a mother out for a midday walk with her child in a stroller… people who we could never imagine connecting with. Instead of connecting in person, we are connecting through making. And just like connecting in person, this dialogue, too, is good for our souls, as we give a piece of ourselves away without asking for anything back. And giving without expectation helps to further connect our feet to the ground and the soul of this earth, by allowing ourselves to have a little part in the mystery, the magic, and the wonder of this thing called life. Aw shucks and thanks, Erin!